In 1933, the Italian Missionary Fr.Angelo Gaviraghi sj founded this mission and in 1935 this mission station was dedicated to St Victor on the Silver Jubilee of the priesthood of Bishop Victor R. Fernandes. The church building was completed in 1939 and inaugurated on April 16, 1940. Fr.John M.Menezes was the first missionary parish priest. Rev. Fr.Antony Lasrado renovated the church building. In 1936 Fr Angelo Gaviraghi built the belfry. 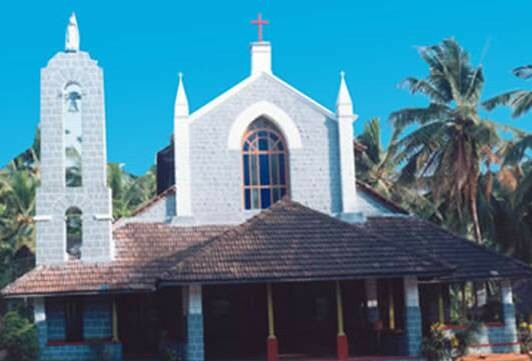 The existing presbytery built by Fr Gregory Serrao was inaugurated on May 5, 1987 and the Grotto built by Fr Boniface D’Souza was inaugurated on April 11, 1993.